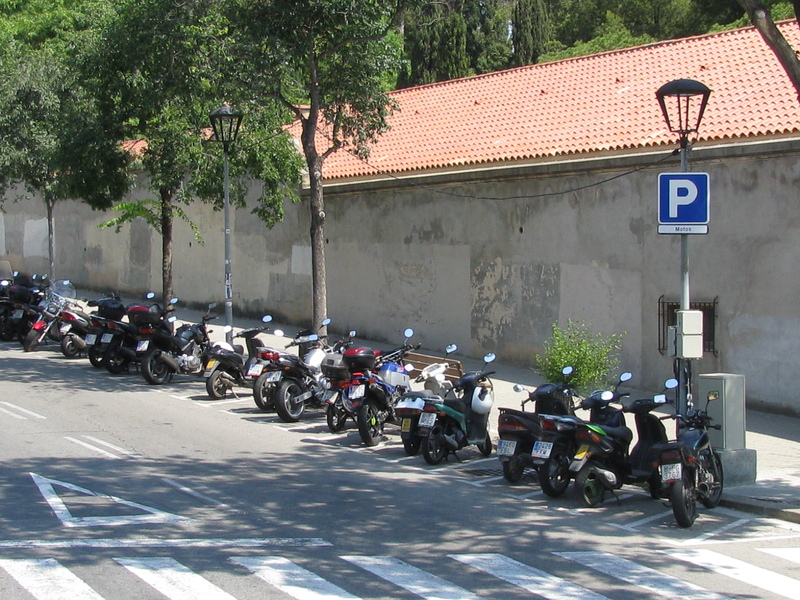 Motorcycles and mopeds were everywhere in Barcelona. This entry was posted in Travel, Travel Photos and tagged Barcelona, Europe, Gas Prices, Moped, Motorcycles, Photography, Photos, Spain, Travel Blog, Travel Journal, Travel Photos. Bookmark the permalink. Sometimes it can be a faster, more efficient mode of transportation depending on traffic. I wouldn’t be as brave as some of the riders who zip through traffic. I prefer walking…which is a much slower mode of transportation but I get to take in a lot. Ohh are those bikes for rental? I don’t think these were. But that is a great idea. A quite similar veiw in my campus in Ciputat, Indonesia. I thought that the picture was taken in Ciputat! I’m not used to seeing so many of them at once. But their popularity is increasing in the US. And now that I live in London, I see them everywhere. Glad you liked a stroll down memory lane. Haven’t been there yet, but I really would love to go! I bet they are super convenient in crowded areas. I’m too much of a chicken and prefer to have my feet on the ground. And it was hot that day. We were there in July. That is cool! What a nice memory.